We are a group of visionaries, educators, and individuals committed to providing emotional and financial assistance in order to address some of the gender and education issues facing young women in Zambia. Take a moment to learn about the people who are involved in our organization. 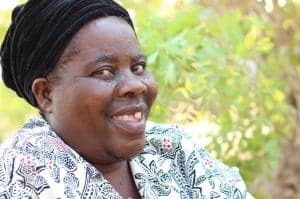 Beatrice Chileshe is a Head Teacher with the Ministry of Education and has over 30 years of experience working with young women and rural education in Zambia. As a woman from a rural area who has pursued her education and found gainful employment, Beatrice serves as a crucial role model and mentor for our young women on scholarship. Beatrice’s sense of humor and story-telling abilities make her a hit at our termly workshops and she is a strong support for the young women working with us. Ceciliah is a young Zambian woman aged 23, the seventh born in the family of eight. Ceciliah was first trained as a Reproductive Health Facilitator through Training-of-Trainers Workshop with US Peace Corps in 2011. Ceciliah also participated in a Paralegal Works and Ethics Training of Trainer’s Workshop facilitated by the Campaign for Female Education (CAMFED). 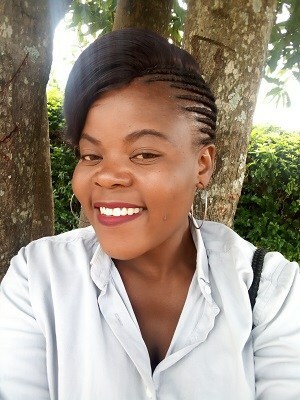 Ceciliah has a close connection with the CAMFED program as they sponsored her education from grade 11 through college. Ceciliah recently completed her Certificate in Business: Secretarial and Office Management at Lukashya Trades Training Institute in Kasama. Ceciliah has been working with Bakashana since 2013. As a beneficiary of CAMFED, Ceciliah understands first-hand the importance of promoting girl-child education not only in Zambia but the world. Ceciliah has dreams of going to University and is enjoying her time working with Bakashana to further her skills while teaching the young women in the program. 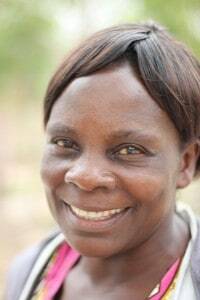 Fridah is our English and Bemba literacy teacher. She is a leader in the community and has stood as a humble guide for women in Kasama for the last 20 years. She joined the Bakashana family because she saw it as a way to share her love for people. She loves to be with women and has a passion for helping them, as they are all her Sisters, Mothers, Grandmothers, and Daughters. 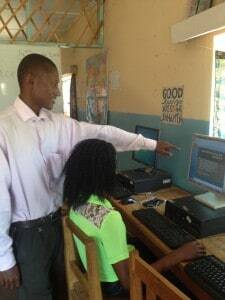 Ignatius Chanda has actively pursued his interest in teaching and computers for many years. He studied in the Copperbelt where he received an International Computer Driving License. He also studied at Luanshya Technical and Business College where he received a certificate in Managing Health and Safety. He has a passion for teaching and sharing and strongly identifies with Bakashana’s drive to empower the youth of Kasama with relevant computer skills and knowledge to take the country forward. He lives with his Fiance Prudence Kamanga who is studying to be a teacher. Mirriam is a mother, grandmother, and house mother for the Bakashana program. She has been mothering for more than 30 years, and her experience and love are essential in keeping the boarding house in order, the girls fed and healthy, and the atmosphere positive for learning. Christine Chileshe was one of the inspirations for the founding of Bakashana in late 2009. Christine worked tirelessly to pass her grade 9 exams, and succeeded in 2010 when she was selected to attend secondary school at Kasama Girls Secondary School. With the financial and emotional support of Bakashana, Christine excelled in Secondary school. She relished the opportunity, and for the first time in her life, 15-year-old Christine was relieved of the heavy workload that she had faced in her Uncle’s home. Christine graduated from grade 12 with high marks. In 2014, Christine was given the opportunity to return to Kasama. Through her return, her experience with Bakashana has come full circle: Christine is now facilitating exam prep sessions with grade 9 girls from Bakashana programs twice a week. She has found through this work that she has a passion for teaching and sharing, and wishes to impact young women’s lives in positive ways, just as hers was impacted through the help of Bakashana. Ignitius is a highly motivated and dynamic young man. He came to learn about Bakashana program when he enrolled in our free computer course in 2015. Encouraged by Bakashana’s grassroots approach to offering Kasama youth a life of choice through the balance of tradition and modernity, he sought employment with us. He was then given the task to carve out his own niche in the program, and he did. In collaboration with our Director of Outreach and Advocacy, Cecilia, Ignitius developed and launched our Youth Life Skills Program. The team now offers Life Skills outreach to rural schools and through weekend youth clubs. Ignitius is motivated, committed, and an all around inspiring addition to our Bakashana family. Justin worked as an aquaculture consultant and business advisor with the Peace Corps and Zambian Department of Fisheries for two years. During this time he worked with many cooperatives and women’s groups, and while living in the community of Chibo in Kasama district he cultivated strong ties with the Bemba people and their culture. He holds an MA in Environment and Resource Management from the Vrije University in Amsterdam and a BSBA in Business and Finance from the University of Denver. He is proud to call Kasama his home, and is enjoying the challenge of constructing his home using traditional building techniques and materials. He is also writing a blog about the experiences of living in Kasama, and the lessons offered by the Bemba people, called Love n Light Lukupa . Diane Ihebom recently graduated from Syracuse University with a BS in Biochemistry. Diane plans on attending medical school to become an OB/GYN. Her passion is in women’s health, especially as it relates to global health care. 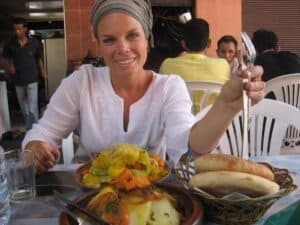 Diane’s long term goal is to work for Doctors Without Borders and provide free medical services to women in the non-industrial world. Diane is excited to be part of the support team, and as someone who comes from two oppressed groups (being a woman and Nigerian-American), she understands how crucial education is in helping to break down certain social barriers. Lorie Lopez is a graduate of University of California, San Diego with a BA degree in Anthropology, completed in 2011. She has spent the last 7 years working and volunteering in the non-profit sector. Lorie looks forward to using her passion for writing and research to find sustainable funding sources to support the work of Bakashana. If you would like to pay by check or money order please email us for more information.